There’s a building full of history and good times in downtown Elkhart. The Lerner, formerly the ELCO Theater, at the corner of Main and Franklin has been restored to its original glory days and then some. Words can’t begin to capture the grand beauty and carefully done workmanship found inside and outside this beautiful building; so the best way to appreciate it is to visit. It stands in the heart of downtown’s Arts & Entertainment District. The Lerner hosts some great shows throughout the year and continues to build on its already impressive schedule of events. Upstairs is the Crystal Ballroom that’s available for public rental for special events ranging from wedding receptions to class reunions. The food and service here is exactly what one would expect inside a grand ballroom. I encourage everyone I know to visit The Lerner. TheLerner website has an interactive photo tour of the interior to give you a preview and, hopefully, prompt you to visit in person. 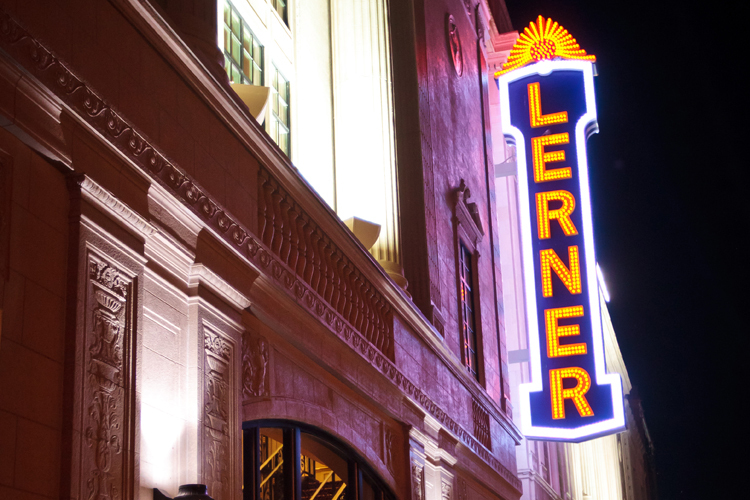 What shows would you be interested in seeing at The Lerner?